We offer our customers smooth and flexible prerequisites for receiving payments via Visa & MasterCard. 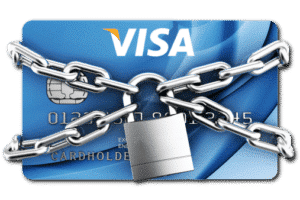 A card acquiring is required for you to be able to handle card payments in your business. We therefore offer our customers good and flexible acquiring solution to receive payments via Visa and Mastercard. We check that your customers’ purchases go through and that the payment is deposited into your account. Why choose our card acquiring with our products? As a customer you will get one contact path regardless of whether it concerns your cash register system, payment terminals or card purchases. We offer packaging services with a combined price picture for all services and without hidden fees. We help to review your current card acquring, either to ensure that you have a good agreement or to arrange a better one for you. As a customer you will get one contact path regardless of whether it concerns cash register systems, payment terminals or card purchases. We can offer packaging services where you get a combined price picture of both cash registers, payment terminals and card purchases. All reports & statistics are integrated into one and the same system, for more detailed and detailed acquiring reports you can also access ImerchantConnect. We can set up seasonal agreements to keep down costs for months you do not have open. Fast support in several languages, from knowledgeable and committed staff. Foreign cards are short issued outside the EEA. If your company has a current card acquiring solution, we help ensure that you have a good agreement or arrange a better one for you. Send an avi to us from the current acquirer so we can give you a correct price based on your card mix and turnover. The quotation comes within 24 hours and the agreement is ready 3-5 working days after you signed.